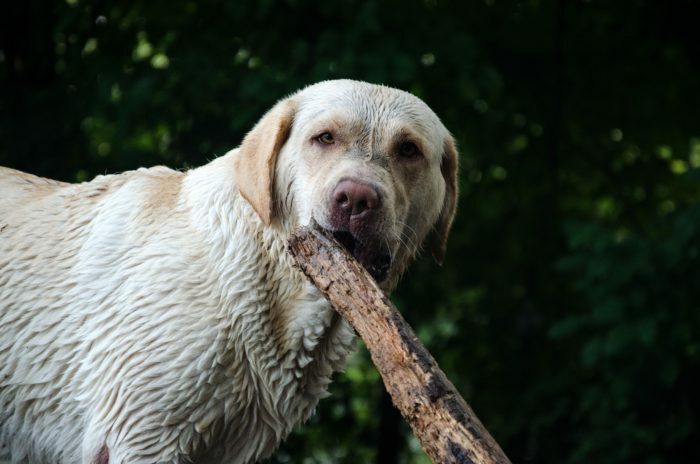 There are several components to be on top of your dog’s dental hygiene habits. Some are regularly scheduled things like professional cleanings and brushing his teeth. 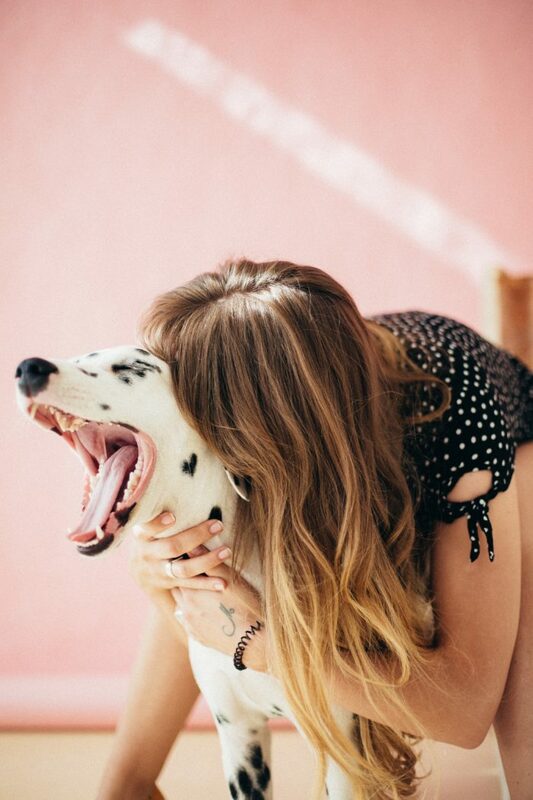 Others can be a bit more enjoyable for your pup. They include dental treats and dog chews. Even the type of dog food you give could help reduce tartar buildup in his mouth. As with any treat, food or chew for older dogs or dogs with health issues, consult your veterinary clinic before introducing your pet to something new that he might have problems with. With healthy dogs, always keep a mindful eye on them when giving them something new. Don’t use your toothpaste with your dog. It is okay for us but toxic to your puppy. Get the special dog toothpaste that will make him love brushing his teeth. 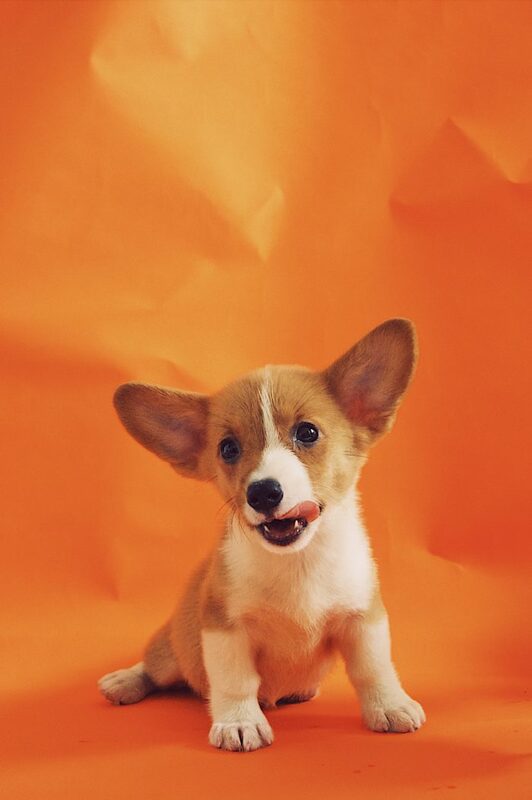 What dog wouldn’t love a bit of chicken and peanut butter to clean those chompers? Dogs love this once they are trained to get used to it. After all, there is a stick with tickly things roaming in their mouth; they really do want to eat it. Brush often, but you don’t need to make it a daily habit. 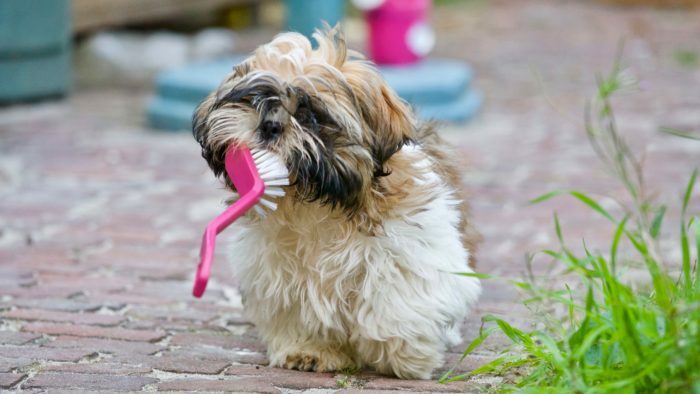 Once a week is a great oral hygiene routine for your dog. If you want to make things a bit less messy, try dog dental wipes. These are tooth wipes that you rub along your dog’s teeth. They feel like they are getting a gum massage when, in fact, you are removing plaque. No tartar buildup there! Keep in mind these are more limiting than brushing your dog’s teeth. When you brush your dog’s teeth, you are able to get into the little spaces in between teeth. With a dental wipe, you can’t. This is no different than if you used a wipe on your own teeth (a human one not your dogs). These don’t really do much for freshening breath of that slobbery pal. Dental dog treats are everywhere, coming in all shapes and sizes for your four-legged friend. Greenies are probably the most common but there are dozens on the market. You dog doesn’t mind dental treats because he gets to do with it what he wants. There are no, “Don’t eat the toothbrush,” moments. These treats help remove plaque and tartar and generally help improve doggie breath. 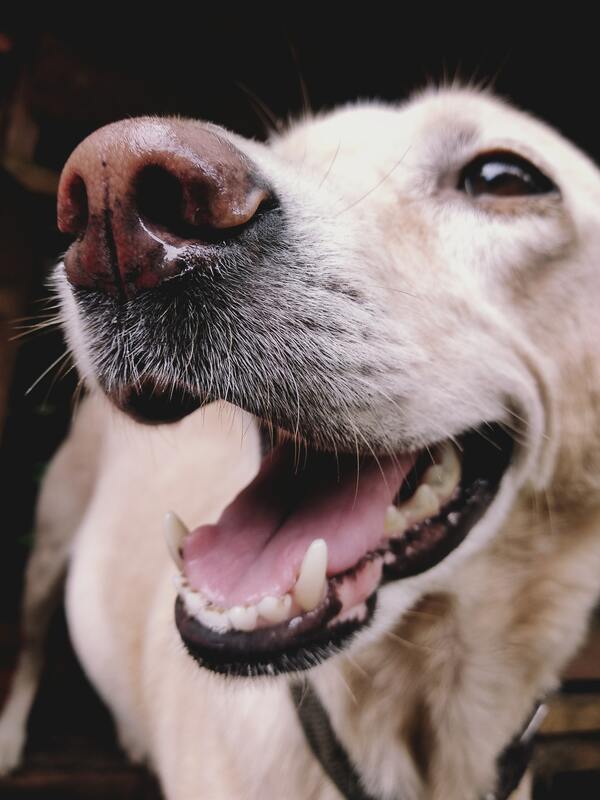 Giving your dog dental treats is not the end-all to prevent dental issues. Dogs love treats but these could increase calories or have ingredients they are allergic. Read the ingredients and talk to your veterinary clinic about their preference for your dog with dental treats. Chewing and grinding on something like a bone is a canine’s natural way of keeping his teeth clean. Sure, he gets vitamins and minerals from real bones but there are also tons of benefits for healthier teeth. His gums get massaged and plaque gets reduces. This helps fight periodontal disease (though it won’t eliminate it on its own). Choices of natural dog chews range from real beef bones to deer or elk antlers. You can also get cow or pig ears, bully sticks and various types of chicken stripes. Rawhides have fallen out of favor as they don’t digest in your dog’s stomach and might lead to a dangerous obstruction. There are also nylon chews that are pretty durable and much cleaner in the house. Giving your dog kibble over wet food is a good option for healthier teeth. Just like chewing on a chew bone, the grained texture on kibble provides friction to help remove tartar and plaque. Wet food doesn’t have this benefit. However, with this pro there is a con for those who want to give their dogs more natural and healthier foods. Even grain-free foods are processed making them less-than-desirable for many pet owners. For those that do give dry dog food to their pups, this is just an added benefit. The best way to maintain great dog oral hygiene is to have regularly scheduled professional dog teeth cleaning. This is the absolute best way to get rid of all that bacteria, plaque and tartar. The Veterinary Oral Health Council recommends periodic examinations for your dog by a professional. This helps discover small problems before they become big problems. There are veterinary professionals who specialize in canine dental cleaning. Dogs can be put under anesthesia to protect them and the cleaner while getting teeth cleaned. Older dogs in particular will benefit from professional cleanings. Depending on the overall dental health of your dog, you may want to have their teeth professionally cleaned at least once, maybe twice a year. February happens to be National Pet Dental Month. Set your calendar to review your dog’s teeth either at home or with a professional canine dental clinic. Good dental health promotes good overall health. By keeping decay and bacteria from taking ahold in your dog’s mouth, you keep him eating better and those organs healthier. You decided to grab the tooth brush and get your pup in the habit of brushing. You’ll have to do most of the work. Again, if he is anything like our dog, he’ll want to eat the toothbrush. While that might be okay for cleaning his teeth in the short-term, it can lead to serious issues down his digestive track. Keeping your dog’s teeth healthy is part of responsible dog ownership. He relies on you to do what is right to keep him safe, healthy and happy. Life will be very hard if he doesn’t have teeth to eat his favorite dog food or chew on his favorite type of chew toy. He’ll also be more prone to illness without good oral hygiene. The good news is dog dental issues can be prevented with very easy habits. Between dry dog food, crunch kibble treats, dog dental treats and bones, your dog is well prepared for basic dental health. Take it one step further to brushing his teeth weekly or monthly and visit a dog dental hygienist once a year. 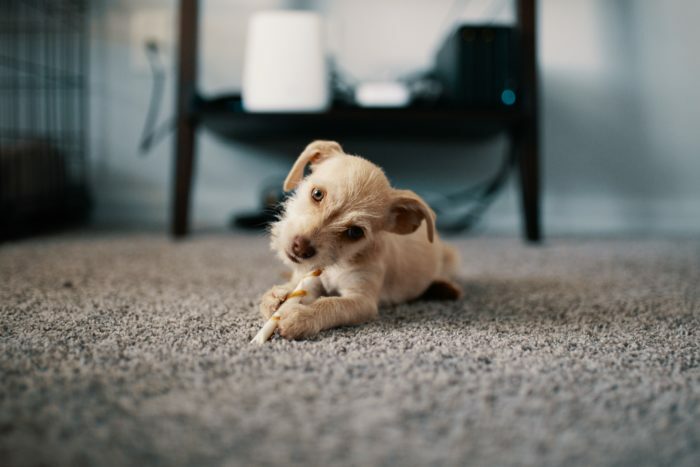 Not only will those pearly canine white take better photos for your Instagram page, he will be an overall happier dog.